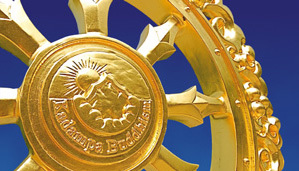 The New Kadampa Tradition – International Kadampa Buddhist Union (NKT-IKBU) is an international association of Mahayana Buddhist study and meditation centers founded by Venerable Geshe Kelsang Gyatso Rinpoche in 1991 to offer the practical wisdom of Kadampa Buddhism to the people of our modern world. Through Geshe Kelsang's tireless activities and kindness there are now over 1200 centres and groups offering accessible courses in buddhism and meditation to people in 40 countries across the world. The purpose of the NKT-IKBU is to increase the Buddhist faith throughout the world, to introduce the Buddhist faith and practice of the New Kadampa Tradition publicly and to exemplify contemporary Buddhist practices through public service. It is an entirely independent Buddhist tradition that has no political affiliations.